NOT like that, you sick bastards! I’m talkin’ the awesomeness that is the Super Mario videogame series. 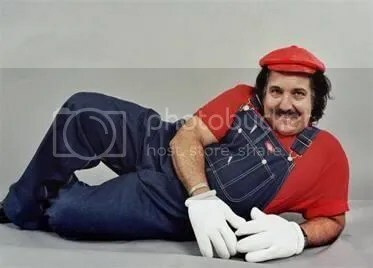 Super Mario Bros. DOMINATED my childhood (and teenhood, and adult hood), and it’s probably no surprise that I’ve spent more gaming hours playing Mario related games than any other series. The controls, the gameplay, hidden secrets and tons of challenging levels kept me coming back to these games time and time again, even as Mario leaped to the third dimension and journeyed into space. The three NES games came out during the perfect time in my life, when I was young enough not to have much responsibility, and old enough to have decent motor skills. Suffice to say Mario WAS my life for a while there. 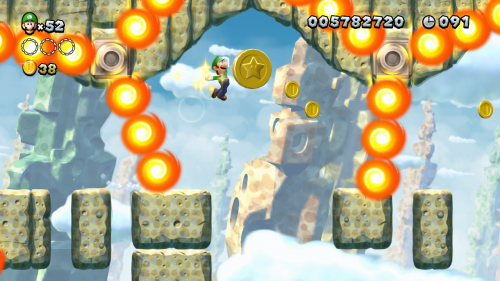 So when Super Mario All-Stars was released, it was the perfect excuse to play through these games all over again. 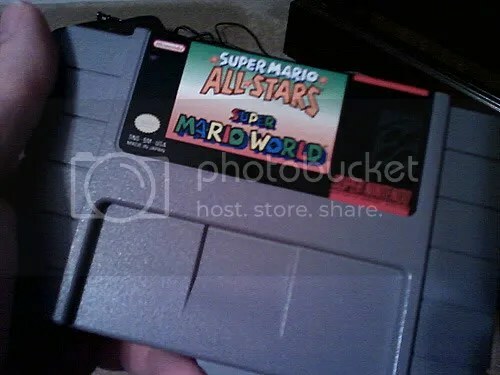 It was a little bit later that Nintendo started to bundle new Super NES units with a special version of Super Mario All-Stars that included Super Mario World. One might think Nintendo would just slam both ROMS together on a cart with a simple select screen and call it a day. But they actually worked Super Mario World into the actual game select screen in All-Stars (and even added an extra save slot! ), as well as insert Yoshi into the new title screen. 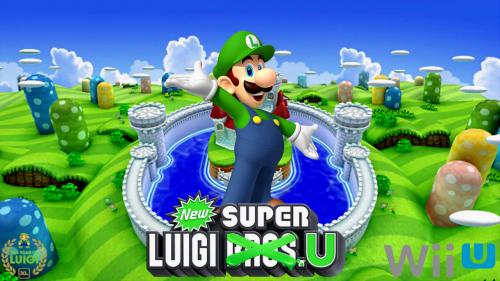 It was actually quite smoothly done, but they even went the extra mile with Super Mario World, by giving Luigi a bit of a makeover. In SMW, he was simply a pallete swap with Mario, but in the All-Stars version, they altered his sprite, making him a bit skinner and giving him new unique animations, both during gameplay and during the cut scenes that appeared after defeating a Koopa Kid. Since the game was only available bundled with new systems, it’s actually kind of hard to find now, at a decent price anyway. I was able to pick up a copy myself rather cheap, long before the retro nostalgia kicked up and sent prices skyrocketing. Luigi sprites shamelessly stolen from The Mushroom Kingdom. You should visit them. They are totally awesome! Oddly enough, this version was only released in America and Europe; Japan never got this edition, which may explain why last year’s Wii Super Mario All-Stars Special Edition only gave us the standard Super Mario All-Stars (well, that, and Super Mario World was being sold for eight bucks on the Virtual Console). Kind of a shame, since the little differences in the two games really stand out to die-hard Mario fans. If you’re a Mario fan, and you ever spot this cartridge out in the wild, grab it! It’s a very interesting collectable, and a nice piece of Nintendo nostalgia.